In olden days you have used the letters for communication. Then communicate through the text SMS. But now a day in this technology world, lot of App’s are being developed in our mobile, which will make the people’s life very smarter. WhatsApp is the one of the messenger App, which overcome the text SMS. Whatsapp having the lot of attractive features like messaging, send photos to your loved once, audio and video messaging etc. So these types of marvellous features are the reason for the people turn on to the Smartphone. 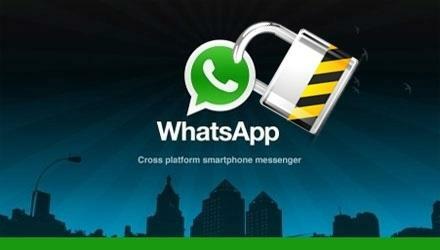 Whatsapp lock is the great app to keep your private information very secure with the use of password. Four digits PIN (Personal Identification Number) are used as password. This app has the impressive features; it is able to capture the photos while the third party enters the wrong password. So you can identify the person easily. First of all you should install your Whatsapp lock in your device. Once the installation have completed, you can see the screen, which will show “Enter your PIN(only 4 digits PIN)”. Then you can see ON or OFF button for Whatsapp lock, and you can also see Autolock time to set auto-locking in your Whatsapp. You can set the time up to 15 minutes. At last you have to press the ON button. Free to download from app store. It will take the photos when someone enters wrong PIN. Lock for Whatsapp is also one of the App to keep your personal photos, messages etc. But here the difference is your password is set as a pattern lock. First you should download the app from play store and install it in your Smartphone. Once your installation get over it will show the screen with the pattern form, so you can set your pattern which you want to keep as your password. Next to the pattern lock you can have the password screen. You can set your password on that screen. After that it will show some licence agreement. You have to accept that agreement, and then only you are allowed to access the settings. Keep your private information securely. Check here to get whatsapp for lifetime free trick are defined here for all type of smartphones to get whatsapp for free lifetime.